What a way to finish up what has been an extraordinary year - for so many reasons! You may have been following my daily updates the last week on my Facebook page or direct to your inbox. I've been sharing insights into a couple of high level programs I've completed this year – Gina DeVee's Divine Living Academy and Tony Robbins' Date With Destiny. The last 6 days at Date With Destiny in particular have been the most intense of my life – physically, emotionally, mentally, and yes - even spiritually. I have learned over the last week and through 2016 so much about human behaviour, myself, and how I show up in the world. It has been immensely valuable to me personally, but it is just as valuable to you as a client in how I can help you get what you desire in life and business. One key thing I've learned this week is the power of values – even more valuable than goals. Values are our guiding principles in life. They are the emotional states that we believe are most important for us to either experience or avoid. If we're taking aim with a rifle, our values are the sight; our goals are the target. Our values influence our behaviour tremendously. So, for example, if we're filtering everything through values that are externally focused, we'll have a sense of lack of control of our lives. An exercise I did this week showed that my existing values included Security (the emotional state of safety) as the number one. I don't know how this has come to be since I consider myself courageous – a risk-taker, adventurous. Security relies heavily on external factors – relationships, governments, entire economic systems, just for starters. However, I realise now that the emotional state of Security has caused me to play much safer in everything – my business, my personal life; generally, how I 'show up' in the world. Often we consider our values to be static – they're unwavering, stoic, we're married to them. Just because we have certain values, we do not need to hold tightly onto them as if they are fixed. We can play with them, elevating those that will help us fulfil our purpose in life and goals. This is liberating to learn. It means I have been able to let go of 'stories' and rules that help meet the emotional state of Security. They keep me safe, comfortable...and small. My new top value is Health and Positive Energy for, without those, I cannot achieve anything, nor live how I desire. It is also entirely within my control; and it is so much more positive than meek old Security. There is so much more to be said about the importance of values – this is just a sneak preview. What are your most important current Towards Values i.e. those values you pursue for a sense of well-being? Will those Towards Values help you to live and work the way you desire? Want to dive into your values and how you can shape your 2017? Have you ever got in the car to drive without any real idea of where you are going? It can be nice sometimes – when you’re unwinding, on vacation perhaps, driving the narrow roads of [insert dream destination here]. But how does it feel when you have no real idea of where you are going in life or career? From my experience it is frustrating, suffocating, confusing, and overwhelming. When I was in this position, I felt I couldn’t breathe; I had a weight on my chest – in fact, it manifested itself in anxiety, shallow breathing, and at its worst, panic attacks. Having clarity in your vision, purpose and goals are critical to a life and career of fulfilment – something you relish. Even organisations must have this clarity – without it, an entire staff and senior management wallow about, unproductive, confused, frustrated, and ultimately risking financial loss as opportunities for success slip away. Creating clarity of ‘the big picture’ - your vision, is vital to your fulfilment. Painting a detailed picture of your vision gives you a clear idea of what you’re working towards. It helps to support your decision-making process – when faced with a decision, is the one presenting itself aligned to the vision of your life and career? Will that decision advance you towards that vision? On my Facebook page recently I shared an activity that helps you create your vision. It is a visualisation technique and I use it all the time in my coaching with clients. It is surprisingly powerful and clients find it enlightening, empowering, and exciting, as though the fog is lifted. 1. Sit or lie in a comfortable position in a relaxing environment with no distractions. I find early morning on waking or before I sleep a good time. If you can, you might want to create a really inviting environment with candles and dim light – it’s entirely up to you. Equally, if you have great concentration, you might be able to try it commuting on the train in the morning – whatever works for you. What is home like? Where is it? What are my relationships like? What does my life look, smell, sound, feel like? Going into this detail can activate the ‘felt sense’ – a bodily awareness of a concept. The more specific you can be, the more detailed and clearer vision you will create – you’ll be able to live and breathe it! 3. At this point, do not put any time frame on this vision e.g. “In 5 years’ time, I want to…” You are creating the foundation on which to build. 4. Be adventurous with your vision of how you want to live and work. Forget “can’t”, “must”, “should”, “ought to” – these are limiting beliefs from years of conditioning that frankly serve little or no purpose. What if you lived and worked exactly as you wished? What would that look like? Dispense with any limitations and see how big your vision can become. 5. Your vision can change too, as you develop, mature, as it makes more sense. Allow this. 6. 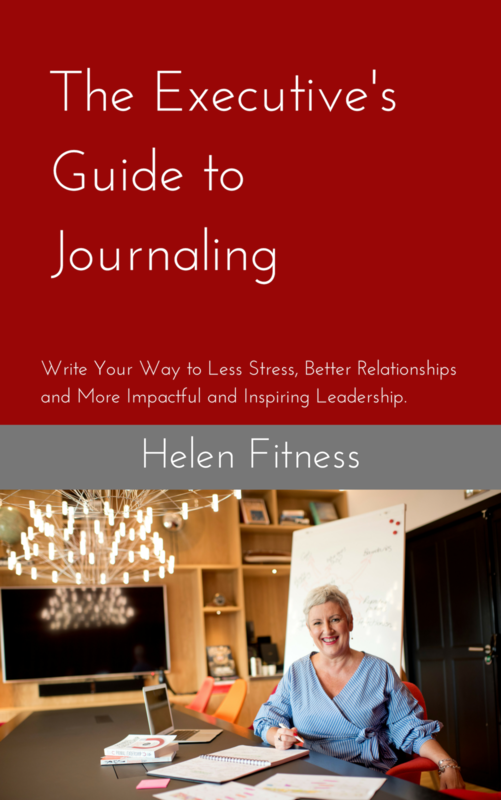 After you have completed the exercise, write it down in a journal or on your smartphone notes. Some people who are more visual may feel they want to create a vision board – you can do this physically on the wall or virtually, using Pinterest. Keep it visible or on hand. If you’re aural, voice record your vision on your phone or record a video to listen to or watch regularly. It took me several attempts to create a vision that excited and inspired me; one I was truly determined to work towards. I find it powerful to think that this image of my life and work was deep within my subconscious, untapped and just waiting to be activated. It just goes to show; we all have the answers – we simply need to ask the right questions. I was able to do this with the guidance of a coach. I continue to visualise on a regular basis – not every day, but probably 3 times a week – to remind myself of what I am working towards, of what I must keep in mind when decisions need to be made. Have a go at this exercise – I would love to hear how you found it. Go over to my Facebook page and feel free to share there.